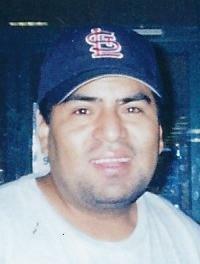 Leonel Rios, age 50, of Scranton, died Saturday. Born in Puebla City, Mexico, on April 19, 1968, Leonel was the son of Jorge Rios and the late Susana Moran Rios. A local resident for over 30 years, he worked for Green Fiber in Wilkes Barre. A genuinely good man with a strong work ethic and a memorable sense of humor, he had a knack for making those around him smile. He loved sports, especially soccer, and was a TV fixture during the 2018 World Cup. Above all, he adored his children and ensured they had a good life. Passing away unexpectedly, he will forever be missed. 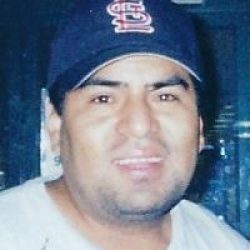 He is survived by his loving children, Ashley and Joseph Rios, both of Scranton; his siblings, Judith Rodriguez, Norma, Gabriela and Cuauhtemo Rios, all of Scranton; and many nieces and nephews. Relatives and friends may pay their respects on Thursday between 4-7:00PM at the Kearney Funeral Home, Inc., 125 North Main Avenue, Scranton. Interment, Puebla City, Mexico.